Thanks again for sharing the above photos as they are brilliant. CJT was at home in Waimate for a number of years until it sadly crashed. I spent a number of hours riding around in the back of this machine as a small child with Col Bolgar. CJT was the fourth Airtruk in Waimate with Skyfarmers Holdings Ltd, I stand to be corrected but I think the first one was EKW which was leased and soon after I'm sure DVN spent a short time in Waimate. The third machine was a brand new PL-12 T300A1 Skyfarmer TRP, which Col flew for a year but was never very happy with the aircraft. TRO was the first Skyfarmer in the country and the pilot of that aircraft, Nigel Barry had also had a number of problems with the aircraft and had worked with both Transavia and The New Zealand agent Barr Bros/ Flight Engineers to rectify the problems. The ailerons of the Skyfarmer had been modified somewhat from the Airtruk and the aircraft had a tendency to suffer from control snatching. Both Nigel Barr and Col Bolgar were work with all parties to rectify the problem when sadly Nigel was killed in TRO. I can't remember when TRP was replaced by CJT but it wasn't very long after the accident, TRP ended up with Hamish Ross. 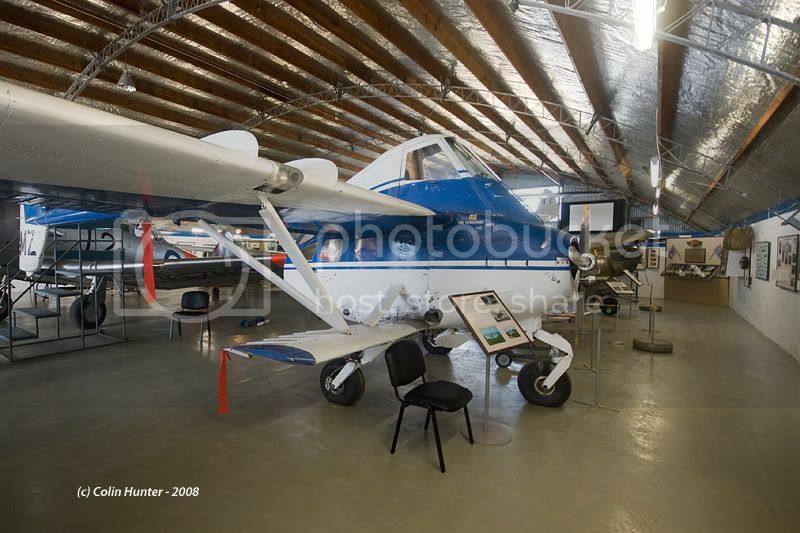 CJT was based in Waimate with Col Bolgar and in 1984 they acquired a second PL-12 T300A1 Skyfarmer TRS, which was based in Geraldine and flown by Kevin Barnell until 1986 and there after by Max Anderson. Sadly Col Bolgar was killed in CJT and the company continued with his wife and partner Donald Hart at the controls and CJT was replaced by CWX, which was leased from Barr Bros. CWX was flown by Ian Stewart for a short period of time, followed by John Millar and Mark Houston. CWX was replaced by DMZ which Skyfarmers brought from Barr Bros. In 1986 another PL-12 T300A1 Skyfarmer was acquired by the company and TRR was based in Waimate with Mark Houston at the controls, TRS was still in Geraldine with Max Anderson and DMZ moved north to Methven with Donald Hart. Donald Hart brought Col Bolgar's wife out of the company in the late 80's and TRR was returned or sold? and exported to Australia.... I can remember seeing it sitting on the wharf at Lyttelton. Skyfarmers then acquired their first Fletcher BII which was based in Methven and DMZ returned to Waimate with Todd Stubbs. Around 1993 Skyfarmers shutdown the Waimate operation and DMZ returned to Methven and was shortly after damaged in a take-off accident. The stub wing was bent and it was decided to write the aircraft off. It is still intact and can be found in the Aviation Museum in Ashburton. TRS was blown over in the Mackenzie Basin in the 90's and was replaced with another Fletcher SKF and later the company purchased an Air Tractor 402 SAT. SKF was sold to Wanganui Aerial Works and Skyfarmers are still operating today from Methven with BII and SAT. 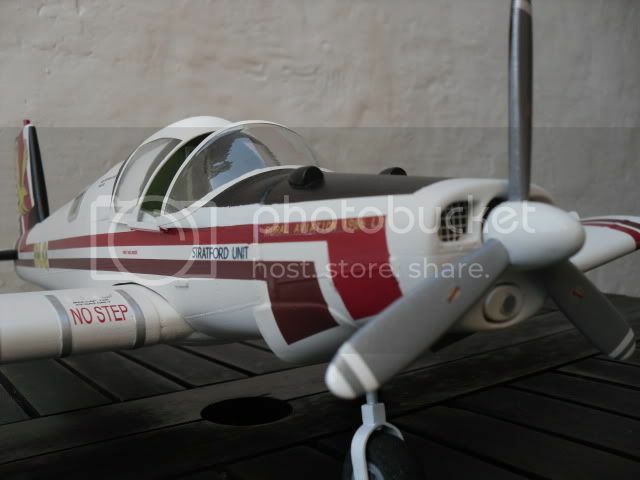 Thats the quick and rough history of Skyfarmers Holdings Ltd, now known as Skyfarmers Aviation. Does anyone know what happened to all the Air Contracts fleet of Airtruks? I believe that they operated a number of Airtruk's over the years. 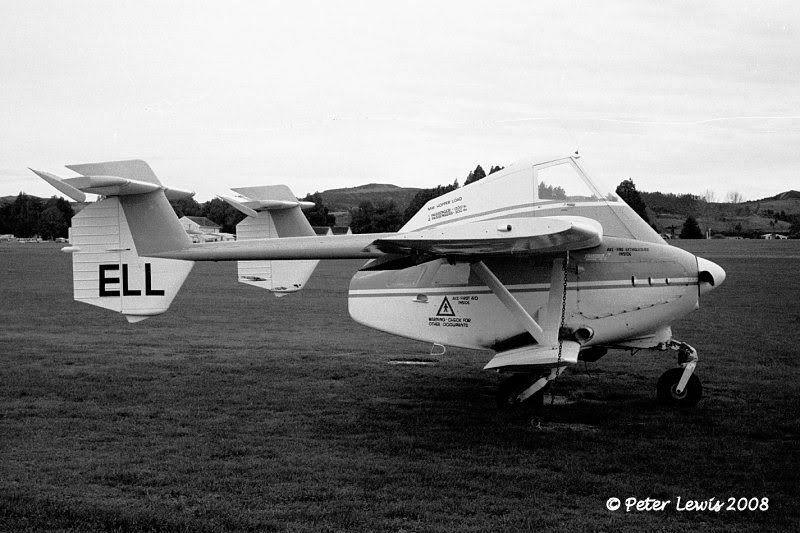 CWX was also briefly used by the Auckland Gliding Club as a glider tug.Had a glider ride at Matamata and was towed up by the Airtruck.It wasnt as economical as a Pawnee unless it was towing 2 gliders at a time. Thanks for the Skyfarmers history. I note with interest that the PL-12 were never registered to the Company but to members of the Hart family. ZK-CJQ - Cr Mataniwi, near Masterton, 27Jul76. ZK-CWU - Cr in F/l Caledonia Station, 20mls SE Masterton, 28Nov77. ZK-CWW - Cr Ngaumu, Masterton, 3Oct74. ZK-CWY - Cr Pukenui Station 17Jan72. Flyernzl, sorry I haven't replied and I've been away from the internet for a month or so travelling around Europe. Thanks very much for the history on the Air Contracts machines, interesting to see that most of them were crashed or sold back to Australia. Does anyone know the story behind CWZ crashing into a truck at Te Rapa? Was it at the fieldays? I was in Spain during my travels last month and came across a PL-12 T320 Airtruk in a museum in Madrid. The aircraft arrived in Spain in 1977 I guess as a demo machine and is still registered in Australia as VH-TRQ. The ferry flight was over 22,000km and completed in 15 days. I guess the type was never accepted there and the aircraft was never recovered. It was donated to the museum by Transavia in 1991, just before it ceased trading. 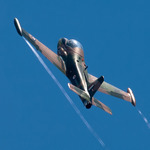 I will post pictures of the machine later once I have good internet access, this maybe the last whole T320 in the world? Was just wondering if you have any old photos of my machine CJU during its career or any of DMZ, which I flew a couple of times? Yes you are also correct all of Skyfarmers Aviation Airtruks were registered to the Hart Family as they owned the aircraft and Skyfarmers operated them. The Hart family still own DMZ which is currently in the museum at Ashburton. It was damaged in a take off accident in the 90's. DMZ at Ashburton museum on 1 July 08. The plane made famous in the 1985 movie 'Mad Max Beyond Thunderdome'. Wish they'd be still making them as it is the best light aircraft ever built. Its amazing how sometimes things just fall into your lap, one of the other pilots here where I am currently flying in Africa is also an ag-pilot in South Africa and has been for many years. This grand gentleman is in his late fifties and I knew that there had been an Airtruk that did a demo trip through Africa back in the 1970’s, so I decided to ask him if he knew of the Airtruk to which he replied “Hell yes, I flew the Mango on a number of occasions”. From that point on it was all about Airtruk’s, he said that the one that did the demo trip around Africa had stayed in South Africa and was operated there for many years and that he had flown it a lot during the 1980’s. The aircraft was the only one in South Africa and it was basically the back-up aircraft in the company that he worked for and it affectionately became known as the “Mango Pit”. After a few phone calls late one night he found that the aircraft had been retired five or six years ago and was now in a school yard in Bethlehem a couple of hours south of Johannesburg so I will have to take a drive and visit the old girl. He has promised to dig out some photos of the aircraft. 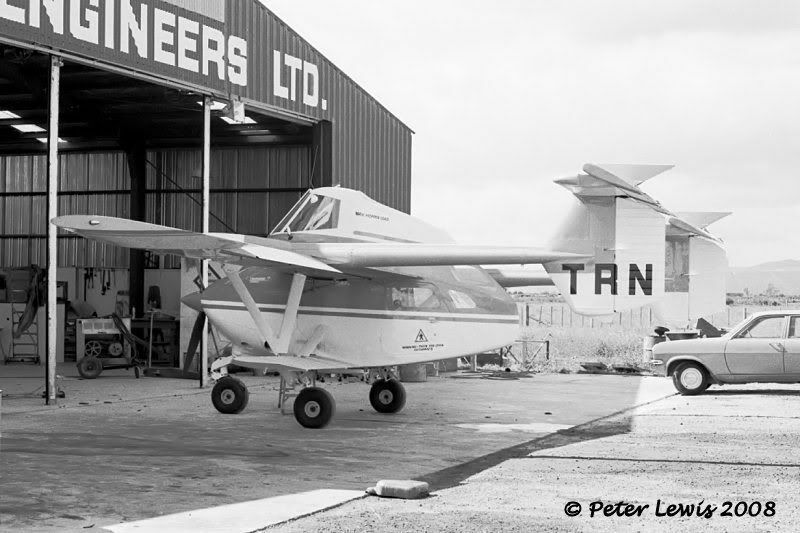 The Transfield Ltd website has a short video clip on Transavia and the production line/ history of the Airtruk, which was completed as part of the celebrations of the first fifty years of the company. In this video clip there is a photo of a Kenyan (5Y) registered Airtruk on its demo tour of the Sudan, which at that time operated a large number of spray aircraft, spraying huge areas of cotton, wheat and other cereal crops. Many kiwi pilots sprayed in the Sudan from the 1960’s right through until this day. Sadly the Airtruk didn’t take off there nor in Kenya and I think the aircraft headed south to South Africa on the continued African tour where it remained. The Fletcher and Cresco both did tours in the Sudan in the 70’s and 80’s but it didn’t take off either. One of the Cresco’s crashed killing all onboard and if my memory serves me right it sadly flew into a small hill while ferrying back to its home base. I am busy trying to find out if anyone among my friends in the Sudan and Kenya can remember the Airtruk been demonstrated in both the Sudan and Kenya. I understand that there is a large write up on Australian built agricultural aircraft in the latest edition of the “Aero – Australia” magazine, which contains a number of photos of both the PL-12 and the PL-11. Sadly I can’t buy the magazine here in Africa but will order a back copy at some stage. Bought the magazine a few weeks ago, just for the PL-12 stuff. Interesting, and worth the read. From that point on it was all about Airtruk’s, he said that the one that did the demo trip around Africa had stayed in South Africa and was operated there for many years and that he had flown it a lot during the 1980’s. The aircraft you're referring to is ZS-WPO. It was powered by a Continental 300 hp (IO-520) engine driving a MCcauley 2 bladed prop. That particular aircraft was flown from the factory in New South Wales to South Africa via South East Asia and Europe on a demonstration tour in 1969/70. My father bought the aircraft at that time, and owned and operated it until he retired and sold his business to Sentrachem (Agricura) in 1977. Agricura operated it for a while, and then it got damaged in an accident. Agricura, the cropspraying company, was later sold to Orsmond, and they decided to scrap the aircraft. It stood out there at the Bethlehem airfield for years, and I guess Orsmond decided to donate the fuselage to a school. My brother Eugene used to fly the aircraft, and the only problem that was ever encountered with that particular aircraft was a fair amount of corrosion around the hopper area, which was situated behind the cockpit. It was always extremely difficult to clean that area, and I guess that a fair amount of chemical seeped into the wall seperating the cockpit from the tank. The aircraft was originally built for seeding and fertilizer applications, from there the wide opening between the tail booms. Easy access to drive the loader truck up to the hopper. The stub wings assisted in creating some form of airflow for the seeding and fertilizer application, and I remember that the demonstration pilot actually spread some fertilizer without fitting a spreader. Shortly after my father purchased the aircraft, two PL12's were purchased by a Bethel based cropspraying company, and one of them, ZS-IGG, was assembled by my father in his hangar at Malmesbury. About a year later, both those PL12's were written off in Natal whilst spraying sugar cane, and so ZS-WPO remained the only one to fly in South Africa until such time it was scrapped. The Airtruk's were not particularly popular in SA as a cropsprayer. At that time the cropspraying companies were looking at bigger aircraft such as the Grumman Agcat and the Rockwell Thrush Commander. They were radial powered aircraft (R1340), and Avex Air was the agent for the Agcat and brought the first one into the country, ZS-AVX. Unlike other ag aircraft that had the spraybooms hanging on the trailing edge of the wing, ZS-AVX had the booms fitted in the front area of the wing, about 6 inches aft of the leading edge. Got the following pics of the second Airtruck to be imported to South Africa. I running out of time to post so have added the link to the thread were I have been getting my info from. Have a read as it makes for some interesting historical reading especially the photos of the Airtruck still in its packing cases. Probably ZK-TRP one of the Ross Aviation Skyfarmers he would have flown that after he left James Aviation.Also probably at times ZK-TRN the other Skyfarmers Ross had or one of the Aitrucks they had/hired from time to time. Late '80s a lot of ag firms went out of business,so they probably juggled aircraft a bit as servicing etc came along,Ross soldiered on until 1988 at Rotorua when he joined Superair. I'd go for that as well. Hamish Ross had PL-12s ZK-DVN ZK-TRN and ZK-TRP around that time. TRN crashed Tauranga 25Aug84, the other two were sold into Australia. Anyone know of the eventual resting place of ZK-ELL? This was the Airtruk ex Barr Bros/Beard Aviation that was WFU at Ardmore in 1988. Hamish acquired it in 1989 for his museum. I've not heard anything of its eventual disposal. Yep,it was most likely TRN at Tauranga,I used to live in Rotorua through the mid '80s and my rather addled memory favours TRP as being based at Rotorua. Were the Skyfarmers leased or owned,I had a feeling by the time the Skyfarmers came out you had to buy them?. Thanks for the info on the old tauranga airtruk guys. This is definetely a future modelling project! Ahh yes.... old CBA - Derek Williams was the pilot think it was originally based in Rotorua with Robertsons from a old pic I found, Then to tauranga. 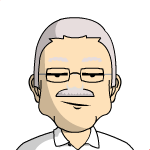 Had a chat with Derek a few times, nice bloke too, he took me up in it once back when he had his own topdressing business called Williams Aerial Services (based in tauranga) or something along those lines. Then to superair in 1988 and is still with them although part time I think now from the recent write up about him. He also owns a harvard. I always thought BIX was at whakatane although could be wrong on that one! BIX had a long connection with Rotorua,it was Bill Pentecosts orginal mount when it was new in the late '50s,in the 80's in was flown by Ray Air,which was what the Raymond Young called his company after James Aviation sold out to the pilots.Sadly BIX went to Super Air and Hamish Ross was killed topdressing in it south of Rotorua,so BIX has a connection with the Airtruck theme. Bruce Thomas was the Rotorua Robertson pilot through the '80s until Robertsons pulled out of Rotorua,he then worked for Ray Air share flying BIX,I think he retired around 1988 when Ray Air sold to Super Air. Derek Williams is the local Tauranga pilot,hes been here since the Adastra days.When James went belly up he bought BII and it was painted as Williams Aerial Work,until he too sold to Super Air.Hes still flying JAA from here as a part time pilot,I can here the Fletcher take off from my house most mornings when he goes to work,although topdressing work in the BOP has fallen right off over the years. I thought it was Bay Air . . .? Airtruk, check your personal messages. Ray Air as in Raymond Young.He sold out to Super Air and as far as I know he gave up ag flying at that point.By 1988 topdressing around Rotorua had dried up to a part time job.10 years earlier there was around 5 or 6 ag planes based at Rotorua and back in the '60s there was around 10 flying out of the airport.